A new paragraph in the text is customary to begin with a red line. This allows to visually distinguish a group of sentences United by a common sense. 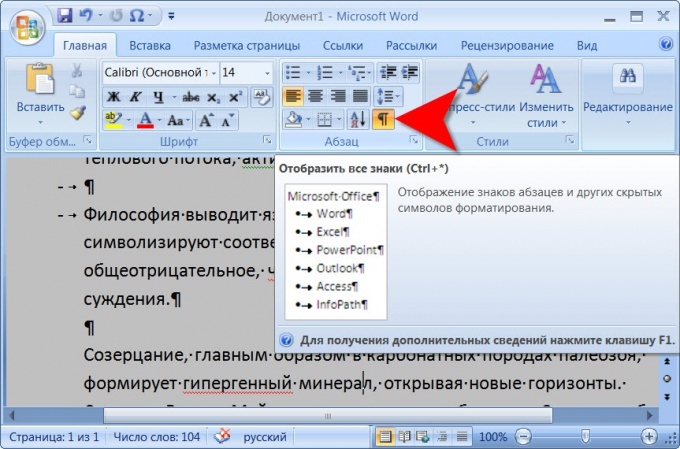 In electronic documents, for example, created in Microsoft Office Word indent first line of each new paragraph can be set automatically. If you don't need a red string in text, remove it in several ways. Disable automatic insertion of indent for each new paragraph. To do this, select the text you want to edit, or the whole text. If you need to fix only one paragraph, you can just put the mouse cursor anywhere in the text of this paragraph. Go to the Home tab and then under "Paragraph" on the arrow button. Opens a new dialog for "Paragraph". To cause it another way: click the right mouse button in any part of the text from the drop-down menu, select "Paragraph" by clicking on it with the left mouse button. In the opened window go to tab "Indents and spacing". In the section "Indentation" in the field "First line" install using the drop-down list set to No. Click OK in the lower right corner of the window to the new settings took effect. Dialog "Paragraph" will be closed automatically, the red line in the text will be deleted. You can also edit the text. 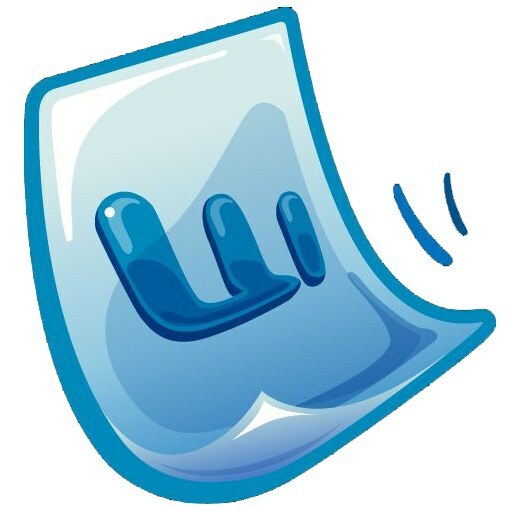 Install the mouse cursor before the first printed character in a new paragraph, and then press Backspase. The line will shift to the left. If the red line in the text was inserted automatically or by pressing the Tab key, it will be enough. If the red line was inserted by repeated pressing the Space key (Spacebar), you need to remove all whitespace characters before the start of the text. Make visible the hidden formatting characters. To do this, go to the Home tab and click in the "Indent" button with the symbol "¶". After clicking all non-printing characters are visible. The gap denoted by the symbol "•". How many times was the key pressed is Space, as many characters will be in the text. Delete them using the Backspace or Delete key. To return to the normal view of the document, press again on the button "¶" in the section "Paragraph". When you compose and edit documents in Microsoft Word it is possible to use additional signs document markup. They do not print and are only present on the screen and in the formatting commands in the document. The display of such icons can be turned on and off at any stage creating and editing text. Disconnect the display mode of the page layout. In this mode, a graphic editor puts a label in front of the sections, subsections and paragraphs of text. They do not print and are for the most visual representation of the document structure and can be useful, for example, in the preparation of table of contents. To disable the display of unprintable characters markup structure you can click on the icon, any other display option (for example, "page layout") in the lower right corner of the screen, to the left of the zoom slider on the page. These switches display modes are duplicated in the menu editor, on the View tab in the section "Modes of viewing of the document - you can use them. Turn off displaying "all the signs" - this will allow to remove from the screen the icons that are noted in the text, the spaces are simple and unbreakable, the end of paragraphs, tabs, and other service marks that form the structure of the document but not displayed on the print. This can be done by pressing the appropriate icon in the editor menu - it is placed in the section "Paragraph" masonry "Home". Disable in the settings editor to display formatting marks on the screen, if necessary. 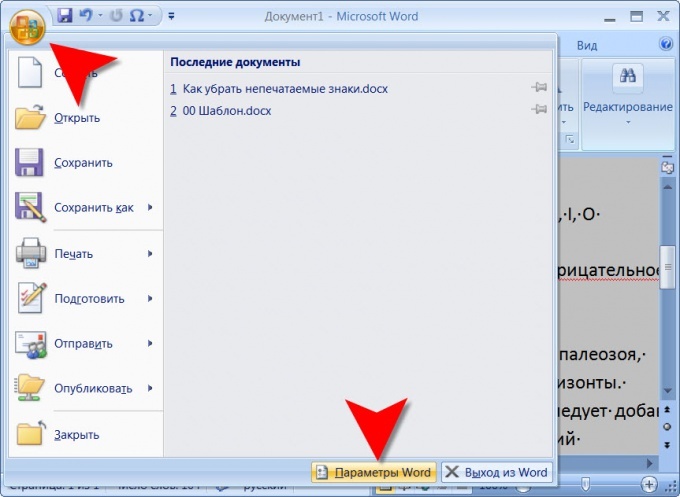 To do this you first open the main menu in Word click the big round Office button in the upper left corner of the window. Click on the rectangular button "Word Options", which is placed at the bottom right. This way you will get access to changing the settings of the text editor. Select in the list placed in the left pane of the settings window, the string "Screen" and remove the checks in the checkboxes of the section with the heading "Always show these signs format. Do not have to remove all markers - delete only those that hinder you in working with documents. When you're ready, click the "OK" button in the lower right corner. The functionality of the text editor is determined by the opportunity to get the whole text without having to use other applications to insert graphics, tables, links, symbols. In a Microsoft Office Word document can contain printable and unprintable characters and symbols. To insert and remove them a variety of ways. Characters in a Microsoft Office Word document inserted in different ways. Part of the symbols ($, &, # and so on) can be entered from the keyboard. 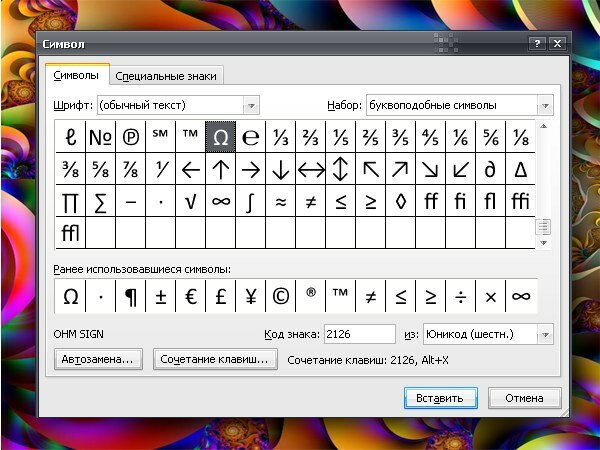 To insert other symbols that are not on the keys of the keyboard, you must use the editor functions. Go to the Insert tab, in the section "Symbols" click on the "Ω" with the word "Symbol" in the top right of the screen. In the drop down box click on "Other symbols". 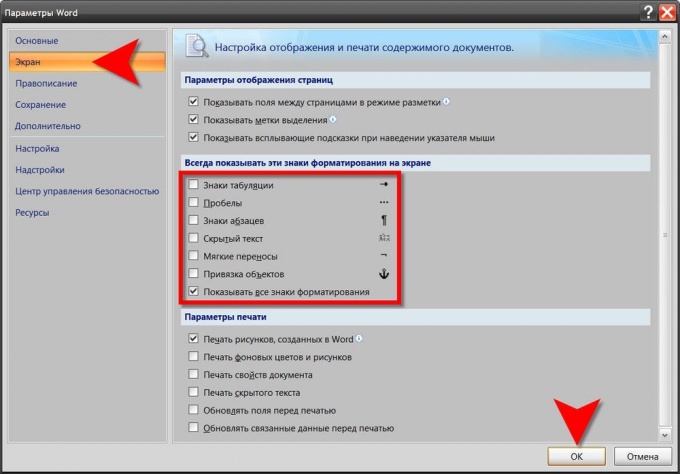 In the opened window, select the desired symbol and click Insert. Close the window. To remove the symbols can also be different ways. If you need to remove from a document any character (or sign) in front of the cursor, press BackSpase (key with a long arrow at the top right of the main keyboard area). If you want to delete character after the cursor, press the Delete key (right side of keyboard). In that case, if it is necessary to remove part of the text, highlight the text, hold down the left mouse button or using Ctrl, Shift and arrow keys. Press the Delete key or BackSpase. If you are going to enter other text is erasable, you can immediately start to gain it back – the selection will be deleted automatically when you enter the first character. To delete characters located in different parts of the text, highlight them with your mouse, hold down the Ctrl key, then remove them the usual way. 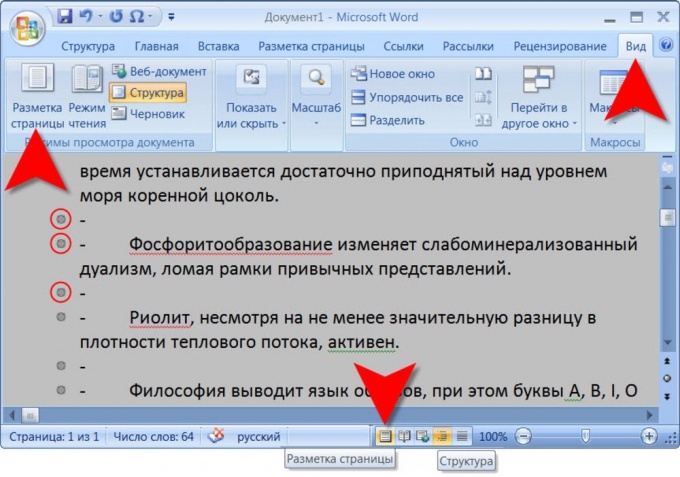 In the document Microsoft Office Word there is an option to hide or display the hidden formatting characters. Paragraph marks in the text appear in the form of the symbol "¶", and space characters - in the form of " • " symbols. They are visible only in the electronic version of the document, but the print does not come out. To remove the hidden formatting characters and paragraph marks, click the Home tab. Under "Paragraph" click on the "¶". Sometimes when you copy text from one file created in MS Word, to another, the latter appear non-printable characters, for example, break characters of the village or press Enter. They can clean up formatting of the original document. Most often the problem is the button is pressed, the display of such signs. Try to click this button which is located on the standard toolbar. If the editor does not show the panel, add them by clicking the top menu "View" in the opened list select "toolbars" and click "Standard". In the added panel, find the icon "show / hide formatting marks" and click it. If your computer monitor has a diagonal of at least 17 inches, most likely, the icon just didn't fit in the tab bar. At the end of the panel, find the arrow icon and tap him on the opened tab will display all of the elements that did not fit on the panel. If paragraph marks are not gone, you can delete them manually or by using the search fragment. For manual removal it is enough to put the cursor over the unwanted mark and press Backspace, or before him, but at the same time press the Delete key. To automatically remove all the unwanted characters, press Ctrl + F. you will see a small search box of the fragment. Go to the tab "Replace" and enter in the first box paste the copied clip that you want to delete, and leave the second field empty. Press the Enter key. After completion of the removal operation on the screen a window will appear with the results of the performed actions. Unnecessary symbols can be removed with the help of special keyboard shortcuts. Highlight a piece of text or characters, press Ctrl + X. Thus, you can cut unwanted parts that occur in the text. Unnecessary parts of the text can be cut, and need to copy and neobhodimosti paste into another blank file. For example, after the selection, just press Ctrl + C or Ctrl + Insert. Insert text using keyboard shortcuts Ctrl + V and Shift + Insert.